Today Is The Final Day of My Black Friday Weekend Sale! Posted bycarlarjenkins	 November 27, 2017 Leave a comment on Today Is The Final Day of My Black Friday Weekend Sale! These three products will save you time AND you can learn on YOUR OWN TIME. You can stop and start whenever you choose. I am creating the Tackle Time Management bundle with that flexibility in mind. You are busy going with work, play and the holidays. This is NOT another item to add onto your to do list. 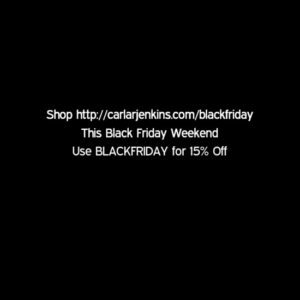 All three bundles are $97 with BON– USES and you use still use the BLACKFRIDAY code to get 15% off at www.carlarjenkins.com/blackfriday. Make Your Personal Brand Pop With This Bundle! Shrink to Expand : 5 Ways to Get Laser-Focused to Chase Your Dreams!